St. Paul, Minn. – James W. Laine, the Arnold H. Lowe Professor of Religious Studies, has been awarded the 2017 Thomas Jefferson Award. The award was established in 1961 by the Robert Earll McConnell Foundation to honor faculty members who exemplify the principles and ideals of Thomas Jefferson. Laine was selected by a committee of past Jefferson Award winners. 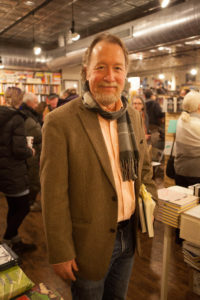 James William Laine: You came to Macalester College in 1985 from Connecticut College and Harvard, by way of Lubbock and Fort Worth. You had an immediate impact on the Religious Studies Department and the college. You were appointed Academic Dean in 1992. As Dean you dealt with fifty tenure cases. 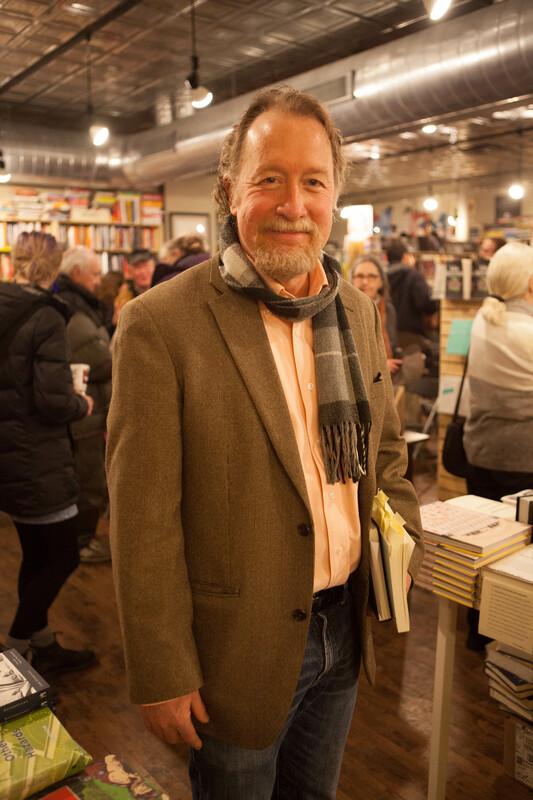 You played a vital and resourceful role in many hires when Macalester was expanding and crafting a greater vision for itself within the liberal arts nationally, and as a college with a greater global mission. You served as Chair of Religious Studies for sixteen years. Under your leadership the curriculum and faculty of the department changed substantially. You made ten hires. You co-founded the ACM study abroad program in Pune, India, a program you also led. You provided insight and energy to the revision and renewal of many programs and departments quietly and effectively. You won two NEH Summer Institute grants to teach difficult topics in Religion to teachers across the United States. And in 2002 you were awarded the Arnold H. Lowe Chair in Religious Studies. You have published four books, including Shivaji: Hindu King in Islamic India, and many scholarly articles. You are a specialist in Sanskrit, Eastern Religions, the interplay of religion, power, and politics, as well as the scholarly and practical study of Yoga, a devotion you have shared with Joy, your spouse and colleague throughout your career. In 2003 you were forced to confront the issue of academic freedom and the scholar’s pursuit of knowledge in the public square, when, in what became known as the Jim Laine Affair, your book was banned by the Indian High Court. Charges were brought against you and Oxford University Press, and Indian officials sought your arrest. You were swamped with hundreds of emails, insults, even death threats. That ban was finally lifted in 2010. Throughout this affair, which garnered international attention, you remained unflappable and charitable. You used this as a teaching moment in your scholarship and classroom. You even penned an article providing the deep background to this political incident, thoughtfully explaining the positions of both sides in this Indian debate entitled, “Resisting My Attackers, Resisting My Defenders.” That was a time, thanks to you, that Macalester College and the Academy stood tall. Your leadership over three decades as an accomplished teacher, acclaimed scholar, and a talented, trusted leader has helped transform and strengthen Macalester. In your scholarship you have been creative and courageous. As a teacher you have inspired students to emulate a compassionate and devoted scholar-teacher. Jim Laine, it is our honor to bestow upon you today the 2017 Thomas Jefferson Award.